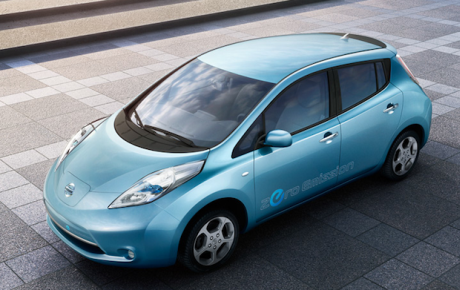 Nissan has announced that starting with December Nissan dealerships in the US will start selling the Leaf. The 2011 Nissan Leaf is the first mass-produced, all-electric, zero-emission vehicle and will have a starting price of $32.780. This price comes to terms with federal tax credits worth $7.500 bringing your bill to $25.280 for a new Leaf or even less if you live in a state that offers additional tax credits such as California ($5.000), Georgia ($5.000) or Oregon ($1.500). Another addition to encourage purchases in the US offered by Nissan is the personal charging dock (a bit like your own fuel pump for electricity) and the home assessment by a certified technician to ensure that your garage can handle the device. This service is set to cost Leaf buyers in America around $2200 but there’s another tax credit that comes into play. The purchase and installation of the kit is eligible for a 50% federal tax credit. If even these prices and offers are a bit out of pocket Nissan also announced that there will be a lease program for the Leaf that will bring costs to around $350 a month for a three year contract. Preorders can be placed (actually reserved for a $99 completely refundable charge) starting with a April 20 and ordering is officially set to start in August followed by deliveries in December.